Personalized kids leather belts are 1 1/4" wide. Please use our sizing chart for help with belt size conversions. Price includes the name laser engraved (we use a laser for the name, no maximum for letters it's all the same price)a leather keeper and standard buckle. We use snaps so you can easily change buckles. We offer many kid name belt styles including horse, wildlife, stars, country boy and country girl and our very popular western floral design in kid sizes. We offer kid/child leather name belts in sizes 20" to 28", 6 months up to size 12 child size. 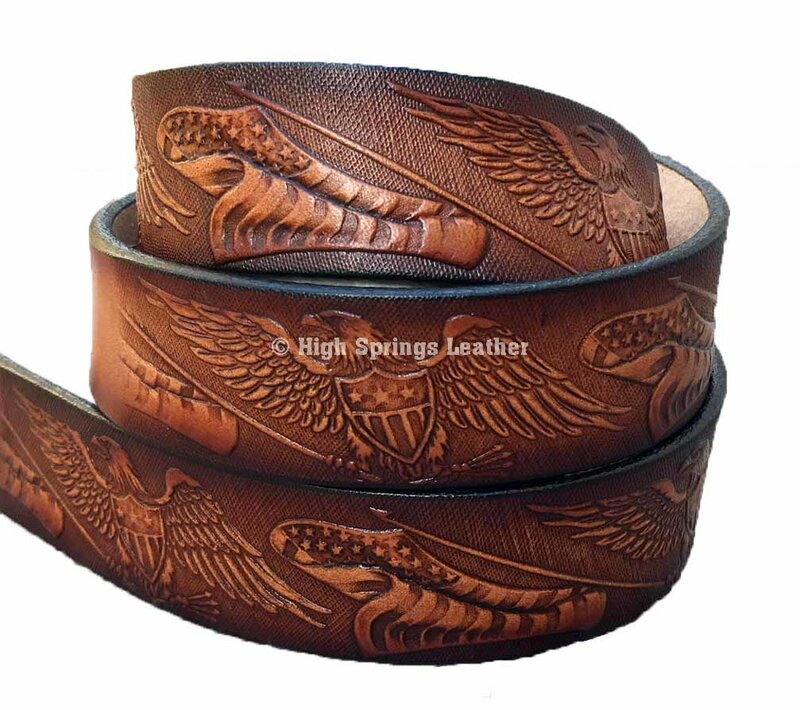 All our belts are made by us in High Springs, Florida. Please measure properly. We do not accept returns because of wrong size ordered. Please see our size guide for help with size.